Before we get to color, it's important to identify your brand personality. To do this, you'll make a list of 8-10 keywords that describe what you want your brand to be. Ask yourself questions like, 'How do I want people to feel when they experience my brand?' and 'What words would I use to describe how I'd like my business to come across?'. After you write out your list, narrow it down to 3-5 top words that we'll use to build your color palette. Now that you've narrowed your list down to 3-5 keywords, it's time to start looking at colors that support those words. 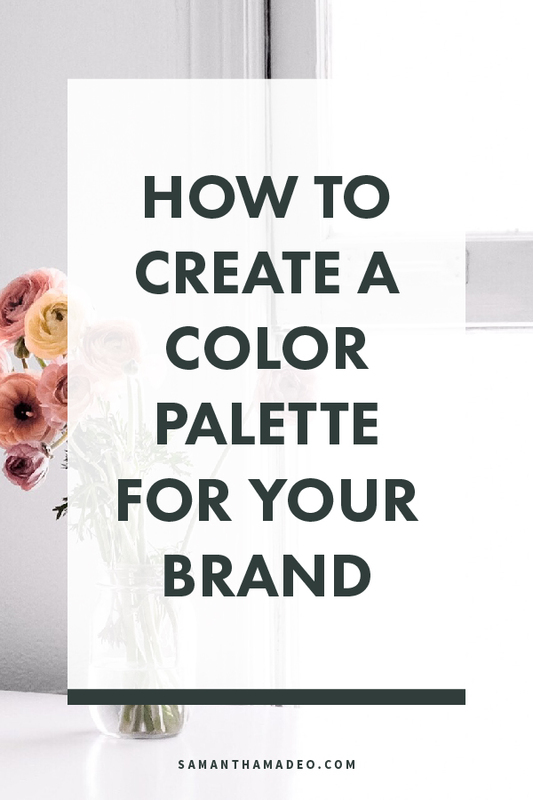 If you describe your brand as strong and luxurious, you’ll want to stay away from delicate pastels such as lavender and look for more intense, saturated colors like dark icy blues and metallics. Start a Pinterest board at this step if you don't have one already. Start collecting images that feature colors you respond to, don't filter too much at this point, we'll narrow it down in the next step. Usually at this point I try to step away from the project for at least a day. Give yourself some time and come back to it with fresh eyes. 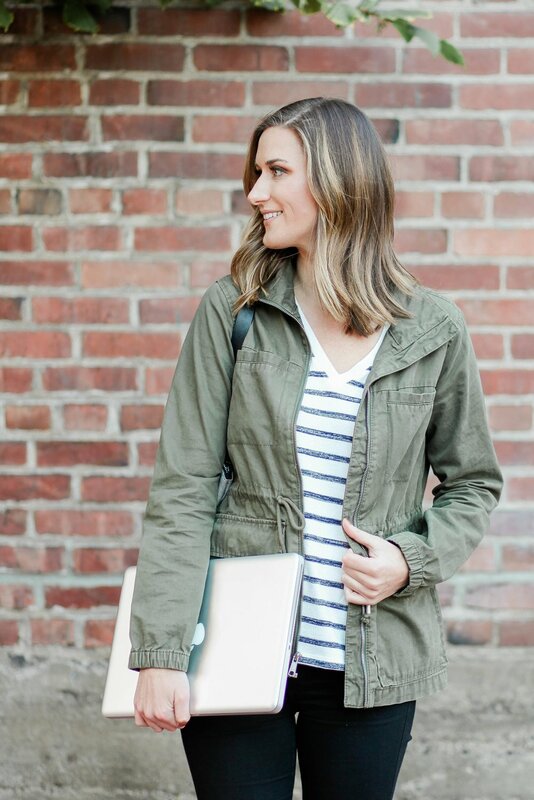 Go back through your Pinterest board and pull images that feature your favorite palettes. I like to choose multiple images and create a full inspiration board, but you can also choose one image to build your palette from. If you’re using Adobe InDesign, Illustrator, or Photoshop, you can open your image in one of these programs and use the eye dropper tool to sample colors directly from the image. Keep in mind you need to have a range of colors including a darker option for text, and a “pop” of color for buttons or calls-to-action. When I work with clients on their new brand, I like to create a brand board to visually display all the elements in one spot. Now that you have your color palette, you can create your palette board by simply drawing shapes (such as circles or squares) and filling them in with your colors. I also like to include the color codes for consistency across print and digital materials. Below are a few examples of color palettes I have created for you to use as is, or as inspiration to build a new palette unique to you and your brand!